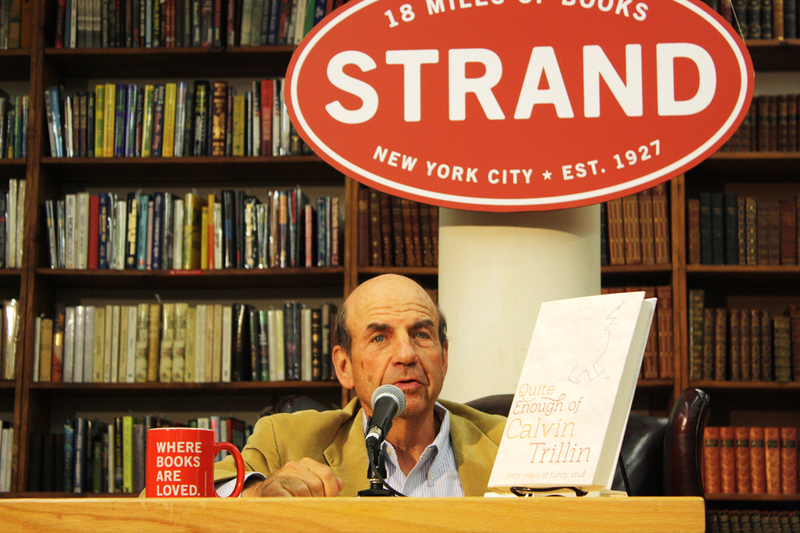 Someone in the audience asked Trillin for the secret of writing humor. He answered that it was important to put in specific details–if you’re eating a Philly cheesesteak while leaning against a car, it’s funnier if you describe the car as a Pontiac. For me, that’s the secret of Woody Allen’s humor, too, the absurd, telling detail. Like his line, “Not only is there no God, but try getting a plumber on weekends.” It’s the juxtaposition of the sublime and the mundane that gets the laugh. This entry was posted in Humor and humorists. Bookmark the permalink.